Go early in the morning to Honeymoon Island State Park and to her sister park on Caladesi Island. That’s when you’ll see fishermen launching colorful kayaks and great blue herons working the beaches off the Dunedin Causeway. You also can walk to Caladesi from North Clearwater Beach. The stretch along the Gulf on baby powder-like sand takes about an hour. Along the way, look for a dead tree whimsically hung with dozens of seashells. Don’t rush. Take time to visit both islands, for each offers unique experiences. In the 1880s, Caladesi and Honeymoon were both parts of Hog Island, cleverly named so because of the hog farm there. In 1921, a hurricane cut Hog Island into two islands (separated by the cleverly named Hurricane Pass). Honeymoon Island State Park has the Rotary Centennial Nature Center, which features exhibits and films telling of the islands’ history, their tree and plant life, and the critters that live there, including everything from rattlesnakes and raccoons to gopher tortoises and roseate spoonbills. Caladesi Island has a 3-mile nature trail, lined with saw palmettos, pines, sable palms, wax myrtles, cacti, and beach daisies, stretching across the middle of the island. One of the highlights is a double-trunk pine tree called the Harp Tree, photographed by the Scharrer family when they lived on the island from 1895 to 1935 and little Myrtle Scharrer went to school on the mainland in a boat. 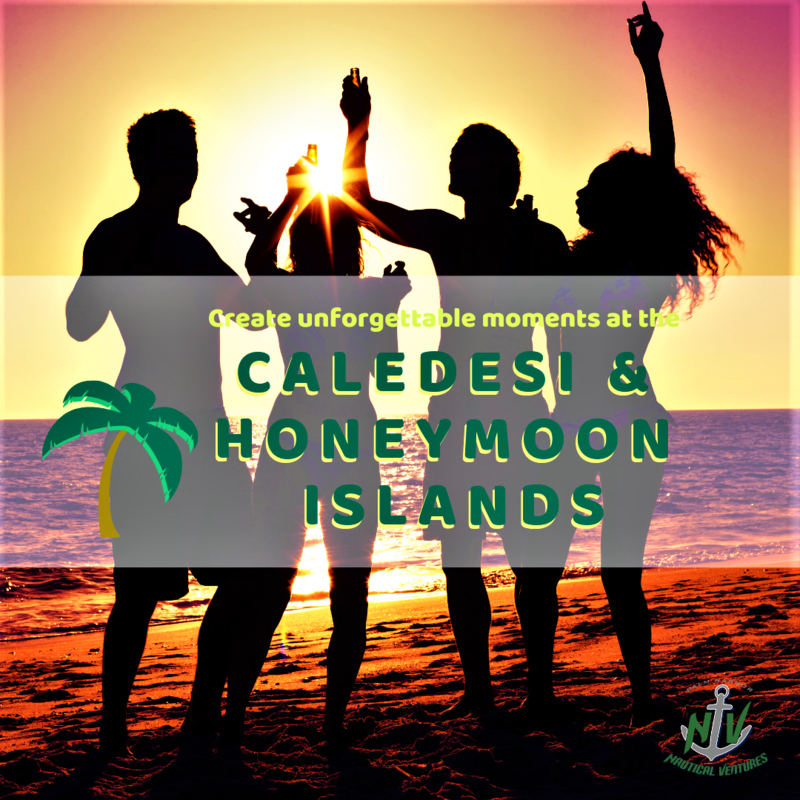 Caladesi, like Honeymoon, is a popular place for weddings. In fact, Honeymoon got its name when a New York businessman bought the northern end of the island in 1938 and advertised a contest in Life magazine for couples to win honeymoons there. Both islands offer visitors plenty of opportunities to splash in the surf, search for shells and savor nature’s splendor. There are boating, fishing and kayaking options too for those who enjoy being out on the water. There also are places to buy refreshments and shady picnic areas to gather with family and friends. You may take a private boat or take the Caladesi Connection Ferry service for a 15-20 minute ride over the waters of St. Joseph Sound going to Caladesi Island. But, if you are hoping for a more convenient and delightful travel, taking a private charter with Captain Rich can be your best choice. You will have the pleasure of spotting dolphins, nesting birds and having a great time, and will recommend him with the highest regard. So there you have it, these Islands are magical with so much to offer, but don’t take my word for it, explore the fun there for yourself!